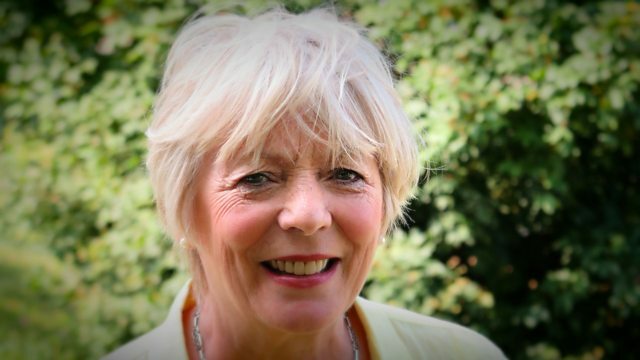 Alison Steadman presents an appeal on behalf of the Bumblebee Conservation Trust, an organisation founded in response to the plight of the bumblebee. Browse content similar to Bumblebee Conservation Trust. Check below for episodes and series from the same categories and more! his tomatoes and his berries. Bumblebees are fat and fuzzy. Their smaller slimline cousins, the honeybees, also do some pollinating. But bumblebees do far more to help our plants reproduce. have evolved to pollinate a huge variety of different flowers. of our food, and they're the only insect that can pollinate a tomato. And it's been disastrous for the bees. The bumblebee population has crashed. in sight. No food for the bumblebees. on the plight of the bumblebee. It was called the Bumblebee Conservation Trust. snack stop for many of our bumblebee species. even if you've only got space for one plant pot. This is a viper's bugloss, which grows wild in Britain. Really, really big favourite of bumblebees. this patch on a sunny day. and collecting their pollen and nectar. This is actually bombus pratorum. and it just shows, you know, what I said. into a wild flower meadow. And she has some interesting helpers. because all the grasses really outcompete the wild flowers. our little sort of meadow makers. improve it for bees a bit more next year. then landowners and farmers need to do their bit for the bees, too. is also working on large-scale projects. at several of their water-processing plants, like this one in London. Bumblebees don't live in hives like honeybees. so the ground needs to be kept slightly rough and not neatly mown. is a wonderful way of giving bumblebees a home. tracking and identifying Britain's bumblebees. It's called the bee walk. And I've done one myself. the Bumblebee Conservation Trust will train you up. Bee walk veteran Alan did his training several years ago. He now volunteers for the trust and gives talks in schools. What is a bee walk? from March to October, once a month. and it's just a joy being out there in the country. So, tell me, why is it so important to track bumblebees? they are in very, very serious decline because of habitat loss. everything else, they're still very vulnerable. it can fly for 40 minutes and then it dies. before that 40 minutes has gone past. -They live at the edge. like these trainee bee walkers. they've learned in the classroom into practice. or the Gypsy cuckoo, bombus bohemicus. to help train the new volunteers. And her thorax is quite orange, isn't it? and had a nice day out. I was just having a think about where exactly I'm going to put it. so he can learn a bit about the bumblebees, too. first and foremost, brilliant for the bees. it would be a much poorer place. So, yeah, it's brilliant for us and it's brilliant for the bees. Our diet and our landscape would be in a sorry state without them. and save the sound of summer. You can donate, or volunteer, or both. To donate, please go to the website bbc.co.uk/lifeline. You can also donate £10 by texting GIVE to 70121. £10 goes to Bumblebee Conservation Trust. writing Bumblebee Conservation Trust on the back of the envelope. so they can send you a gift aid form. Britain's bumblebee populations have crashed as their natural habitats, like wildflower meadows and unmown verges, have been lost from the countryside. Bumblebees are important for biodiversity and are relied upon to pollinate many flowers, fruit and veg, so the charity is working to get their numbers back up. Volunteers are key to the Trust's innovative Bee Walk project, in which members of the public learn how to identify bees so they can monitor their numbers. Alison, who has done a Bee Walk herself, also finds out how the Bumblebee Conservation Trust is helping create 10,000 hectares of habitat to enable Britain's 24 species of bumblebees to thrive. From Pembrokeshire smallholder Clare, who has replaced a patch of grassland with a bumblebee-friendly wildflower meadow, to large-scale landowners creating wild bumblebee zones on their property, there's something everyone can do to help the plight of the bumblebee.